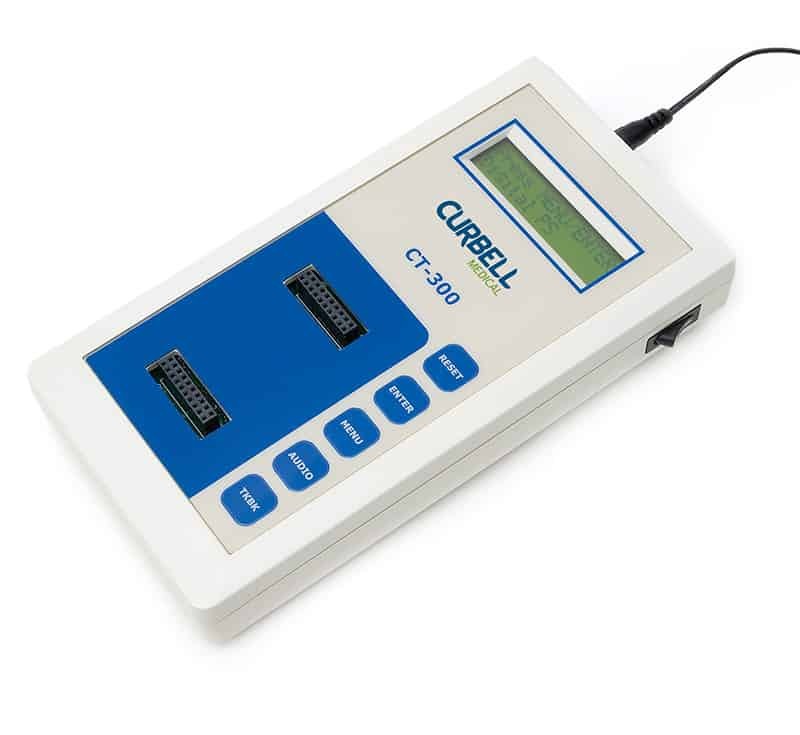 The Curbell CT-5 tester is a portable unit designed to test any Curbell-manufactured pillow speakers compatible with the Rauland Responder 5 nurse call system. 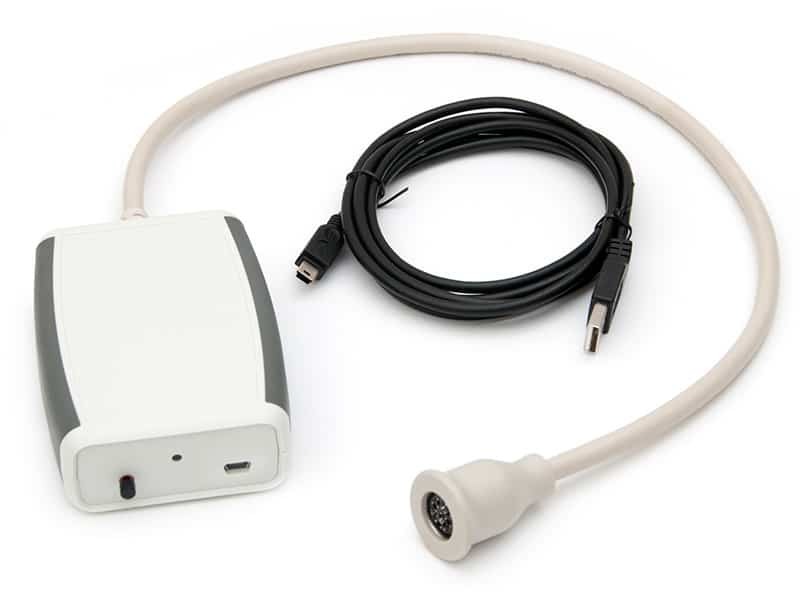 The CT-5 tester is to be used in conjunction with the included USB cable and a user-supplied desktop or laptop PC. It can test all Rauland Responder 5 Standard and Enhanced pillow speakers, as well as Curbell-manufactured “interactive” models compatible with the Rauland Responder 5. Once connected to the tester and properly configured with a PC, you will be able to test the functionality of nurse call, nurse call workflow, environmental control auxiliaries, entertainment, call assurance, as well as speaker and microphone features. The Curbell CT-300 Tester is a portable unit that allows you to test pillow speakers, call cords, Stryker® bed side rails, and Hill-Rom® analog SideCom™ bed side rails. The CT-300 interfaces to virtually any Curbell pillow speaker through interchangeable modules, and will test nurse call on all pillow speaker models and TV entertainment and auxiliary functions on most pillow speakers.